Saturday August 18, 2018 - Popular Kikuyu musician, Muigai wa Njoroge, has been questioned by police over a song he sang that has tribal undertones. The song Mbari ya Kimendero (tribe of the greedy) depicts the Kalenjin community as thieves of public money. 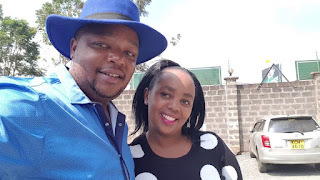 Njoroge, who was accompanied by his lawyer, Gathii Irungu, however said his song is a normal song and those interpreting it are the ones who are fanning ethnic hatred. He also told the police that he has been receiving death threats from a number of Kenyans who are warning him over his controversial song. “I have received threats because of some of my songs. Some [people] tell me I will not go far. But I don’t care. Nobody lives forever,” Muigai said. He also denied that he has been sponsored by a politician to sing the song. In 2012, Njoroge and two others were charged with propagating hate speech through their music. Their case is still in court.